With Yukon Gear, you are one click away from getting power back into your Jeep Cherokee. After increasing tire size, adding bumpers or if you are looking for more towing power, Front & Rear Ring and Pinion with Master Install Kits have everything your Jeep will need. Your only decision now is the ratio that best suits your needs. You have the option of 4.56 or 4.88 ratios. 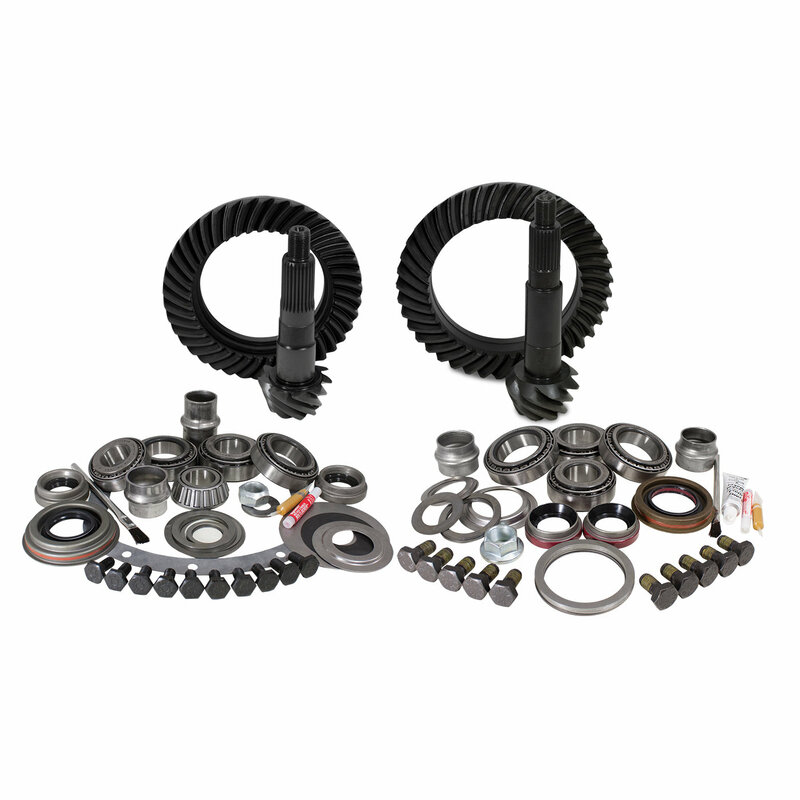 Kits include Dana 30 and Chrysler 8.25 Yukon ring and pinion gears as well as the highest quality bearings, seals and hardware that you will need to complete the job. Please Note: 3.54 and numerically lower gear ratio will require a new front carrier only. Pinion nut size - 1 1/8"
Premium Timken Bearings & Races: This overhaul kit includes high quality Timken Bearings and races in conjunction with premium seals and small parts. Giving you durability and strength having confidence for the Jeep explorations and many years of abuse. Whether you are on the street or hitting the trails Timken is the brand you need and want. Precise Jeep Fitment: The premium Yukon brand offers a quality product that is specific to your Jeep Cherokee XJ with Dana 30 front axle and Chrysler 8.25 Rear axle. Making this a complete package that is all inclusive and provides everything needed for a proper installation. Yukon Gear & Axle has done extensive research and development to provide an installation kit that is nothing but perfect for your Jeep. Making for a smooth installation process that is hassle free.